The 2015 fall season at Schuyler Farms is over. But don't fret, you can still pick up your Christmas trees at the end of November. Schuyler Farms is ready and excited to welcome you in 2016. Schuyler Farms grew into an agritourism haven out of their dairy farm origins over 50 years ago. In doing so, they added a plethora of fun activities for family and friends to enjoy. Turn these activities into longtime family traditions. The farm also welcomes birthday parties and class field trips. Whether you're picking out a pumpkin or munching on a donut, Schuyler Farms covers all the bases. Here's what you can expect in 2016. Participants young and old enjoy this hands-on activity. Watch as the water washes away the dirt and uncovers your hidden treasure. Buy real fossils, gemstones, geodes, and more. Check out hand-crafted gifts made by local artists. Step aboard the Pumpkin Express and breathe in the fresh farm air as you head to the pumpkin patch. Choose from a wide variety of pumpkins and gourds for jack-o-lanterns or your next home baked goods. Hang out, pet and feed all your favorite barnyard animals. Come check out the whole gang including cows, chickens, goats, pigs, rabbits, and turkeys. Choose from a tasty array of burgers, hot dogs, sausages, cotton candy, and kettle corn. There's nothing like a farm-cooked meal. These freshly-made delectable treats are reason enough to visit Schuyler Farms. Combine all the best Autumn flavors in your mouth. Step inside of their greenhouse and witness the beauty of hanging flower pots, shrubs, trees, perennials, and more. 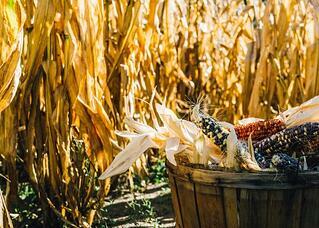 Visit the farm stand to buy fresh vegetables and homegrown sweet corn. Enter the maze, collect stamps along the way, and rescue the princess from atop the tower. Race your friends to see who can complete it faster. Test your aim. Shoot an ear of corn at a giant pumpkin target. What's not to love about an air-powered corn cannon? Slide down 70 ft. and then go back and do it again. Challenge yourself to see how many times you can do that before the farm closes. Waddle your way to the finish line with this kid-friendly rubber ducky race. Bring your family and experience Schuyler Farms' historic and idyllic atmosphere. We hope to see some familiar faces out here next season. Free admission to the farm and free parking. Hours: Thursday 4:00 p.m. to 7:00 p.m., Friday 4:00 p.m. to 10:00 p.m., Saturday 10:00 a.m. to 10:00 p.m., and Sunday 11:00 a.m. to 6:00 p.m.